I have been down with cold these past 2 days and I absolutely hate it. Right now, as I am typing this, I am feeling distinctly groggy and unattractive with all the cold medicies inside me. Anyways, let me get on with todays topic before my head hits the desk. I got my September Vellvette box a week ago. 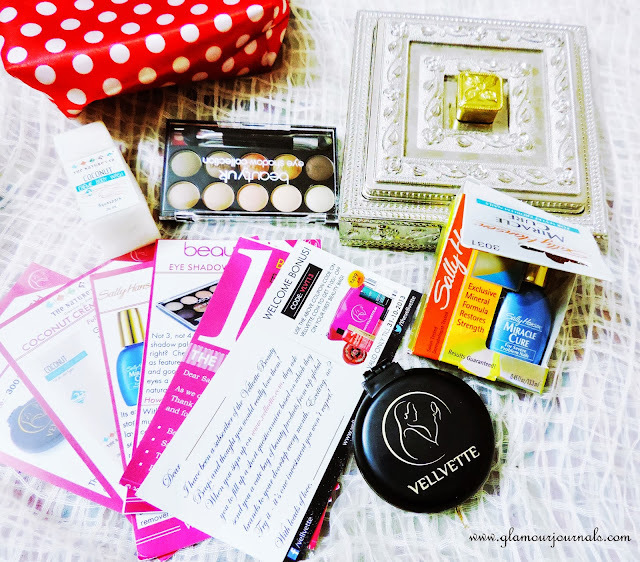 If you don’t know what a Velvette box is, its a monthly beauty sampling box in India similar to what the Brich Box and the Beauty Army box abroad is. 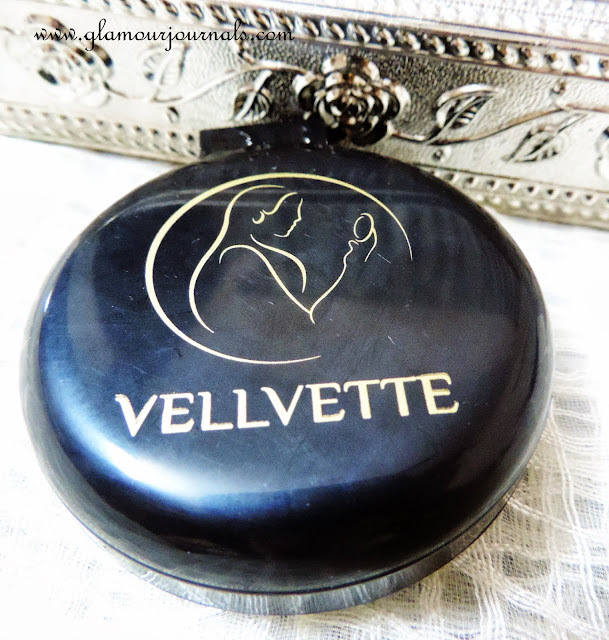 This was my first ever Vellvette Box and to be honest, I am not that happy with it. 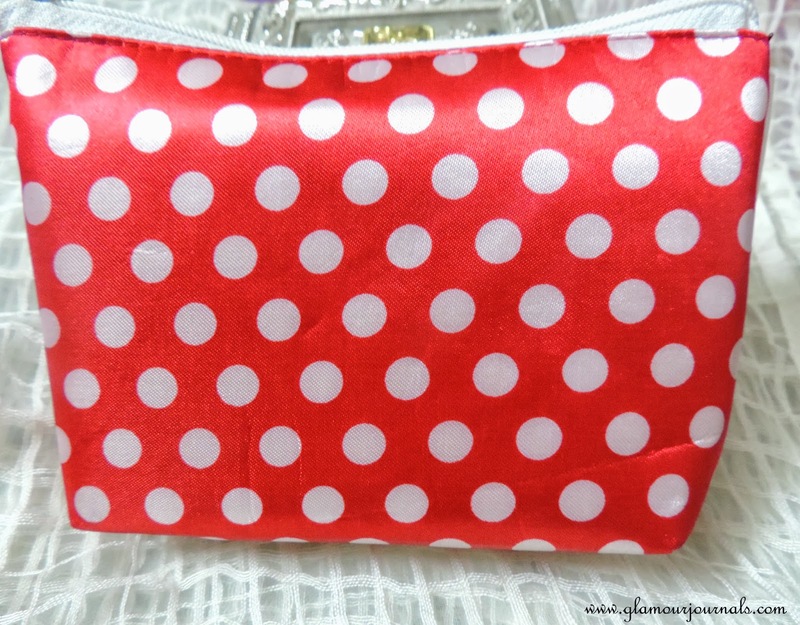 Packaging: It came in a retro red polka dot pouch. Its kind of cute actually. 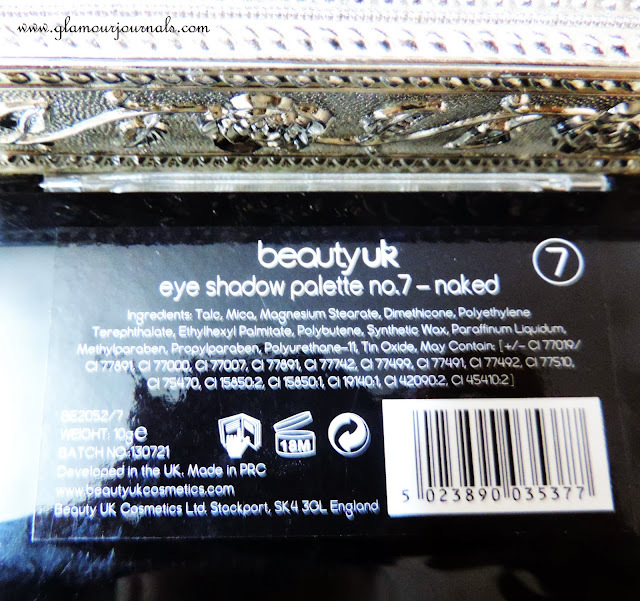 What I received in my box: Beauty UK naked eyeshadow palette, Natures Co coconut cremé body wash, Sally Hansen Miracle cure nail enamel for severe problem nails and a retractable custom brush from velvette themselves. 1. 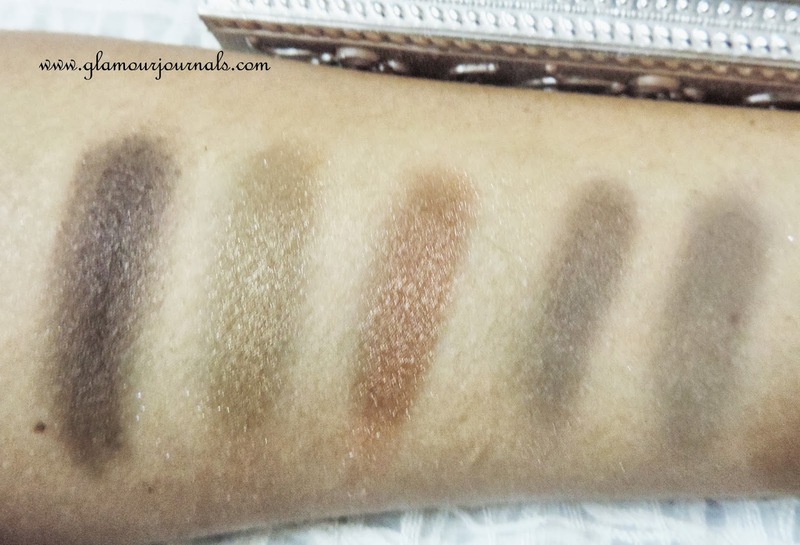 Beauty UK Eyeshadow Palette in Naked: This is the product I am most unhappy about, because its not only poorly pigmented, but it also contains TONS of parabens. I am allergic to parabens. So basically, its useless for me. Only the first 3 colors in the 2nd row are pigmented. 2nd row colors. 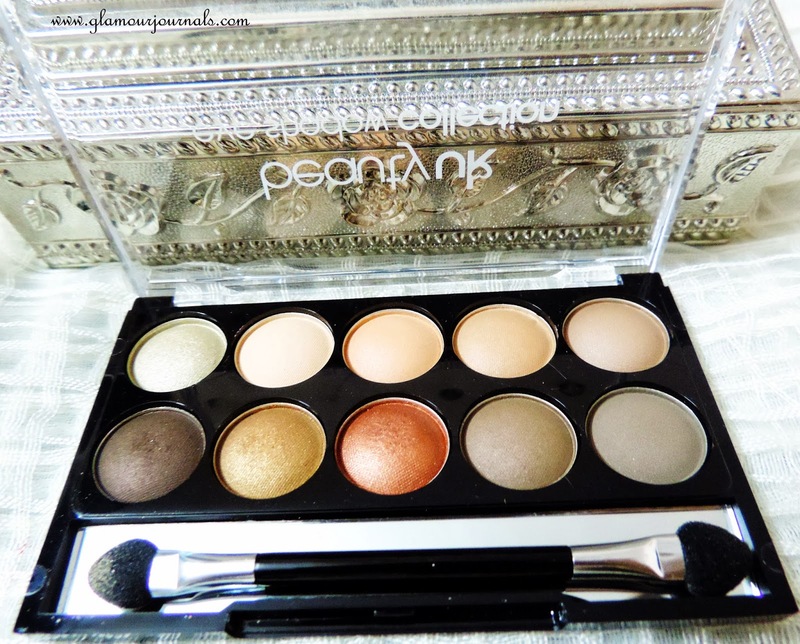 I kind of like the bronze color, but again, PARABENS! 2. 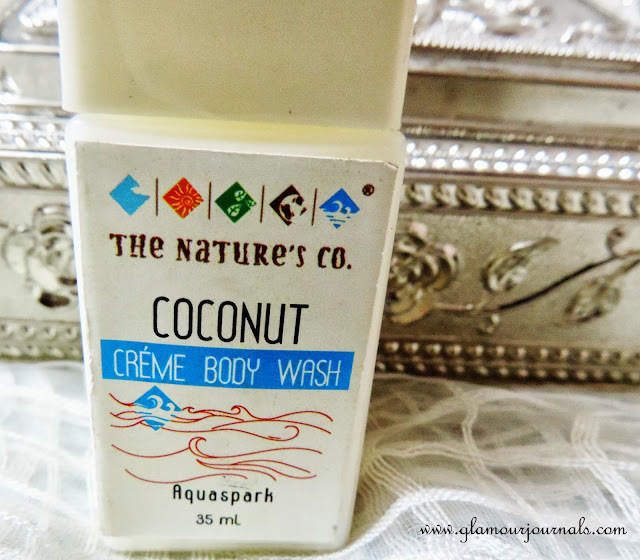 Natures Co coconut cremé body wash: It has a very strong coconut smell. Coconut flavoured body wash vellvette? Really? I would love to smell like strawberries or oranges or even honey. But I DONT want to smell like I spent an hour in a coconut farm! 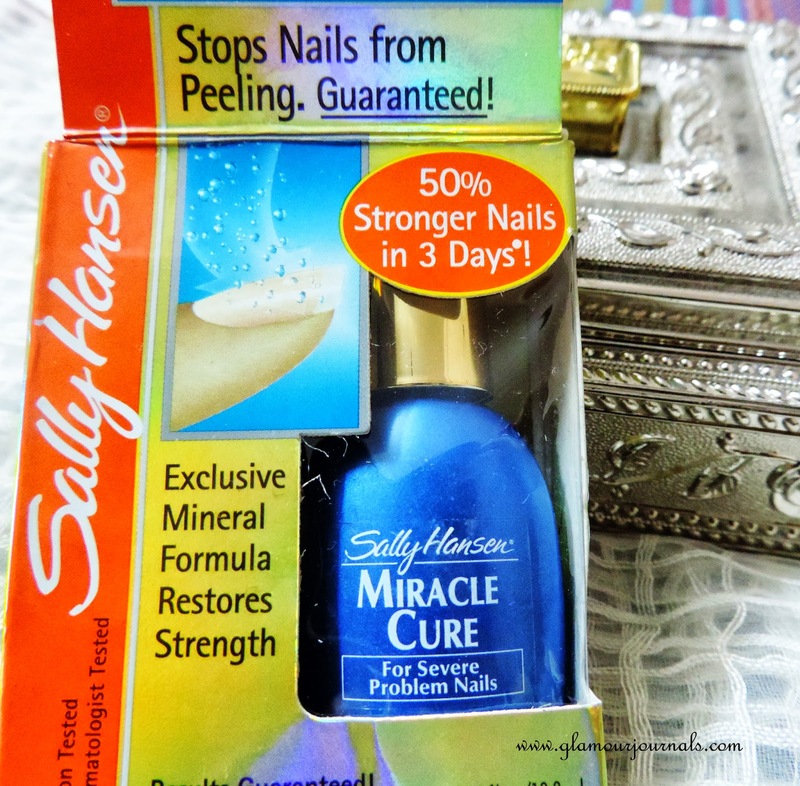 3.Sally Hansen Miracle cure nail enamel for severe problem nails: This is the only thing I am happy about beause I have never tried nail cures. That might also be beause I don’t have “severe problem nails”. 4. Retractable custom brush from velvette: Its cute. But I am not overly excited about it becaue I already own retractable combs. In all honesty, suprise beauty sampling bags are for people who have non-allergic and non-sensitive skin. Me on the other hand, have super sensitive skin which reacts to about everything. I check, re check ingredients to make sure they are paraben free and read a 1000 reviews online before buying new skin care and makeup. Thats why I was skeptical about ordering Vellvette in the first place. 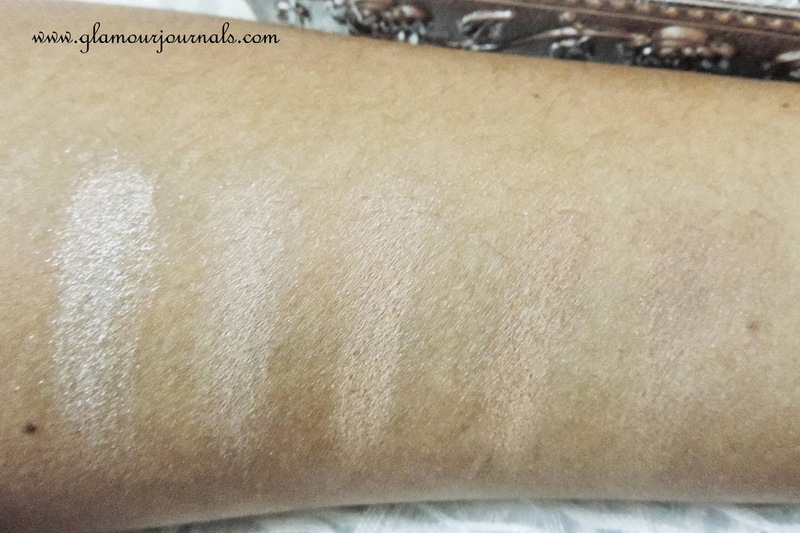 But, I would LOVE it if Vellvette could include samples from brands like Urban Decay, Benefit, Sleek, Illamasqua, NARS, Ben Nye, Physcian Formula, Bio Derma……… there are so many wonderful products out there and its so hard to get them in India. I would DIE to try them! While at it I would love it if they could include a question like “are you allergic to something?” in their questionnaire. I will subscribe for 3 years straight if they started doing that.